After eight long years of waiting, we finally have our first look at Matt Damon returning as super spy Jason Bourne in the upcoming sequel to the Bourne series. 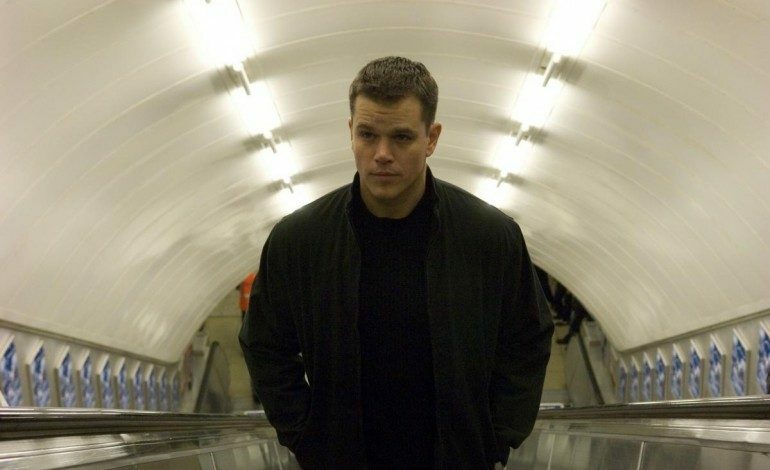 When we last saw Matt Damon as the rogue spy, he was wrecking havoc in The Bourne Ultimatum (2007). After the conclusion of the original trilogy, Damon stated his departure from the series, which put plans for future films on hold. Back peddling on his previous comments, he later stated he would only return to the franchise if Oscar nominated director Paul Greengrass (Captain Phillips) returned as well (which he didn’t). The Bourne series was in hibernation until 2012, when Universal attempted to spin-off another Bourne franchise with Jeremy Renner (The Hurt Locker) taking the reigns in The Bourne Legacy. Plans for a Jeremy Renner led-sequel were put on hold when Damon and Greengrass decided to return to the franchise. After a series of box office blunders, Damon returns to his comfort zone in a franchise that pushed his career to the next level. Jason Bourne is arguably his most famous character to date. He currently has two projects on deck in The Great Wall and Alexander Payne‘s Downsizing. Damon stars in the upcoming book adaptation of Andy Weir’s The Martian , directed by Ridley Scott. Paul Greengrass is directing and co-writing the script with Matt Damon, Robert Lundlum and Christopher Rouse. Julia Stiles (Out of Dark) will return as former Treadstone operative, Nicky, along with newcomers to the franchise Tommy Lee Jones (The Homesman), Alicia Vikander (Ex Machina) and Vincent Cassel (One Wild Moment). The released date for the untitled Bourne sequel has yet to be announced.